Product code: 898 Categories: Sold Items, Sold Watches. 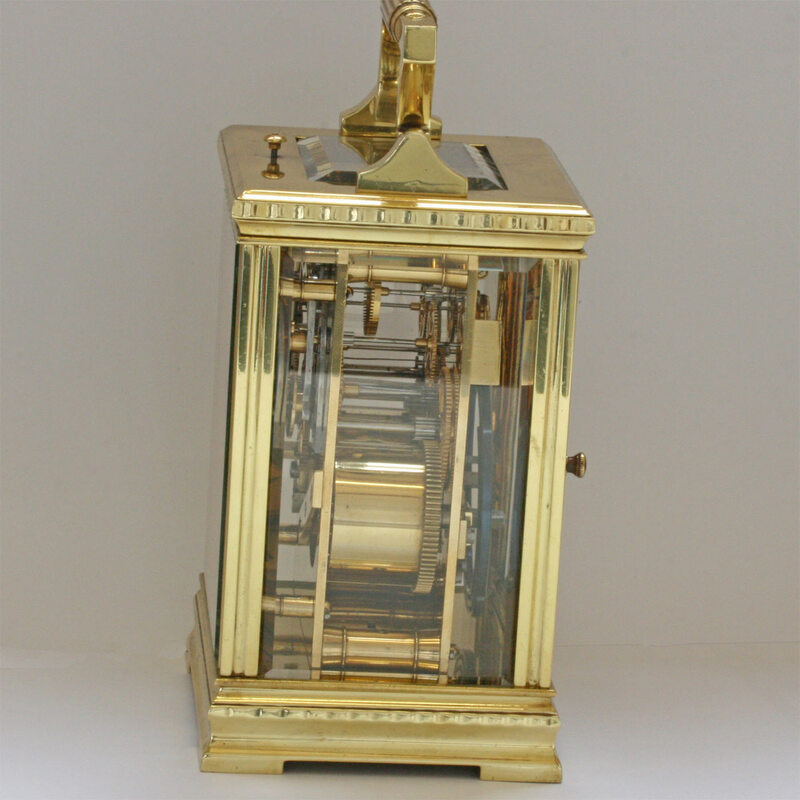 If you are after a superb quality carriage clock then this is it. 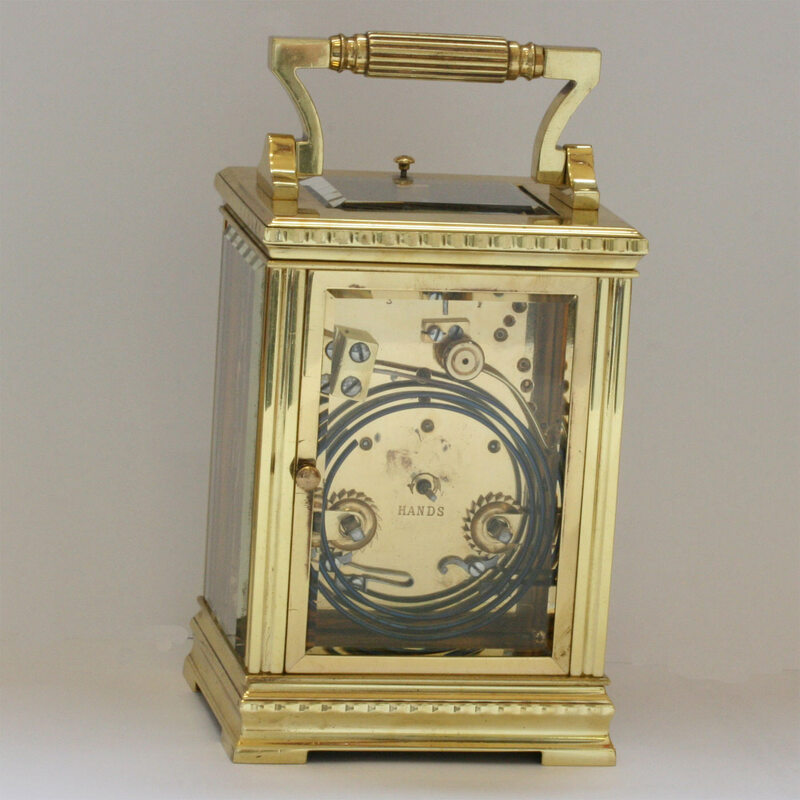 A truly sensational English repeater carriage clock dating from around 1900. 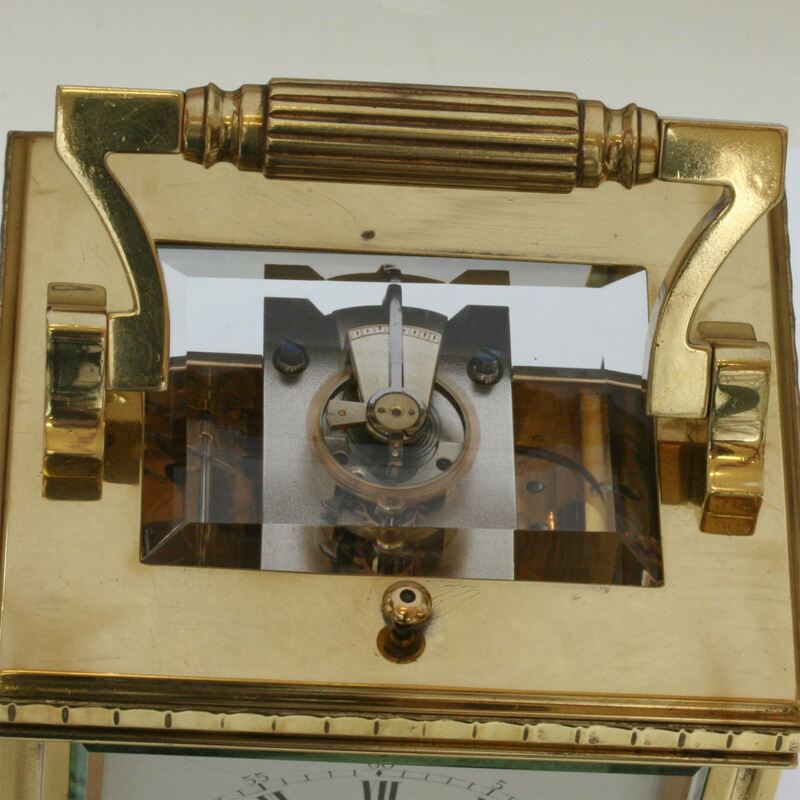 A repeater carriage clock allows one to simply push the button at the top, to hear what hour it is. This strikes a beautiful and soft sounding gong. 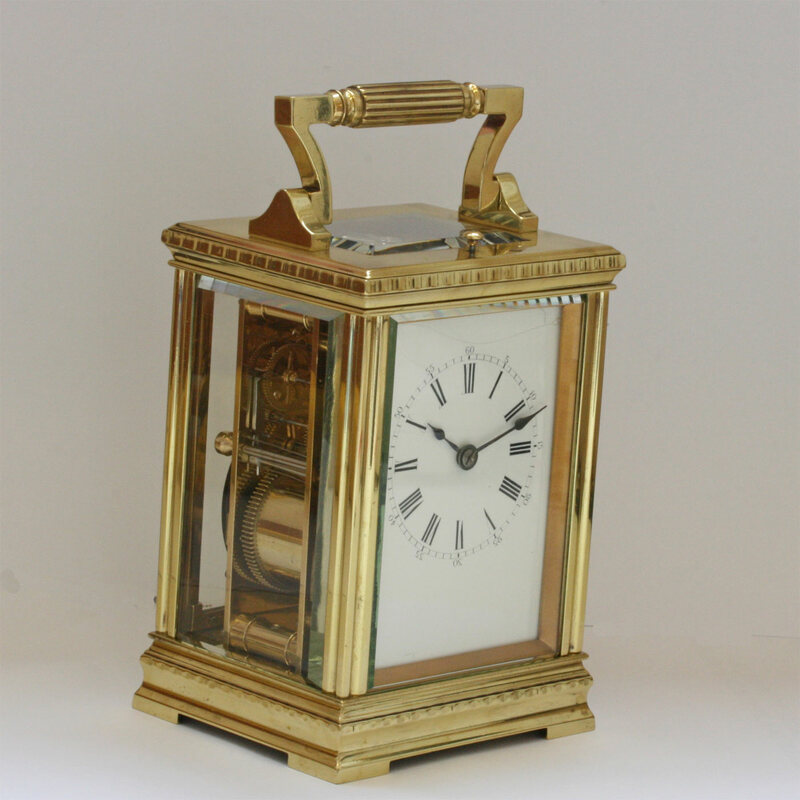 With a wonderful white enamel dial that is so easy to read, there is a small amount of crazing to the enamel at the top, however it is very minor and doesn’t detract from the look and style. The movement is a very high grade English platform jewelled lever escapemant that has been fully serviced and runs perfect. The case measures 13cm high (16.5cm with the handle extended up) x 9.5cm wide x 8.3cm deep.